Assouline’s biography is well researched (the author was given access to Remi’s papers) and provides a good overview of the artist’s life, though this U.S. edition is apparently somewhat shorter than the original French.) 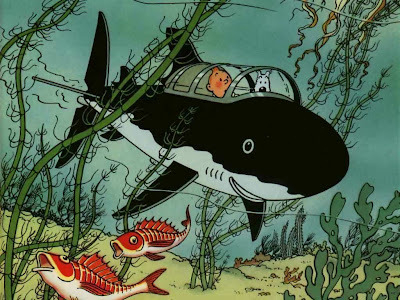 A somewhat egregious oversight, however, is the lack of photographs and, especially, samples of Hergé’s art from the series and his other projects. (Fortunately, such excellent collections already exist, such as Tintin and the World of Herge: An Illustrated History). 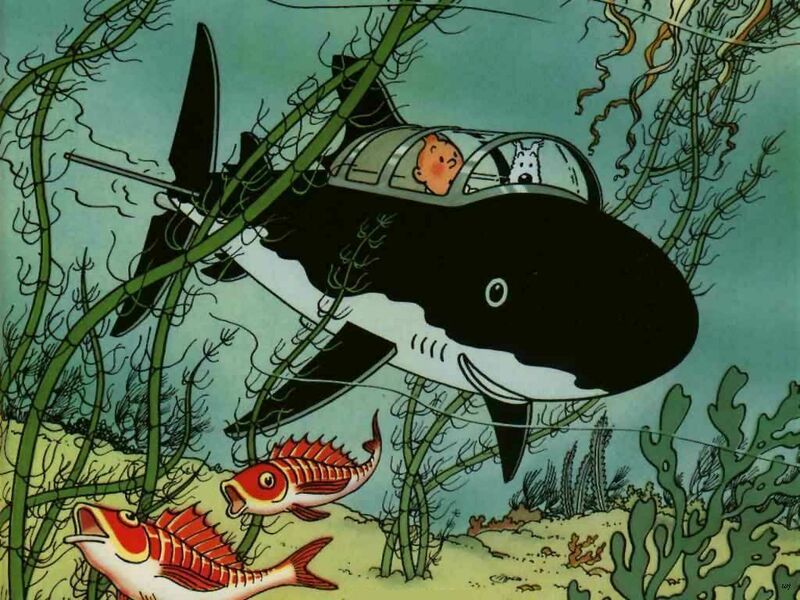 The book also spends little time on Hergé’s art legacy. 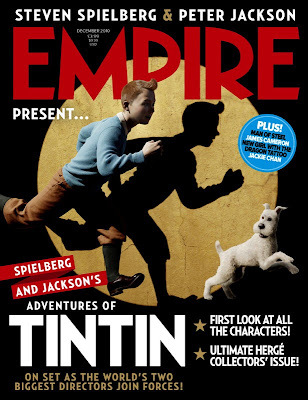 While I recognize the book is subtitled, “The Man Who Created Tintin,” it nevertheless seems important to provide a context about the man’s artistic legacy which is the whole reason for the book. In the same way that Milton Caniff’s Terry and the Pirates brought cinematic mise en sine and chiaroscuro to comics, and Alex Raymond’s Flash Gordon brought lush illustration technique to the funny pages, with Tintin Hergé pioneered the ligne claire (clear line) school of art. Criticism aside, the book still provides a fascinating glimpse into the complex personality of Belgian cartoonist Hergé. My vague familiarity with Hergé the man—which include allegations of anti-Semitism and being a Nazi collaborator during World War II—made me particularly interested in this biography. As in many such allegations, the truth falls somewhere in between. To understand Georges Remi is to know that he was a boy scout—both figuratively and literally. While the book does not delve too deeply into his childhood, his early identity and beliefs can be said to have been forged by scouting, Catholicism, and Belgian nationalism. Through his boy scout connections, at an early age he began working at Le Vingtième Siècle (The Twentieth Century), a newspaper, as a graphic artist and cartoonist. Le Vingtième Siècle was a reactionary, ultra-conservative Catholic newspaper, which in pre-war Belgium meant it was intensely nationalistic and pro-royalist, virulently anti-Communist, and anti-Semitic. The newspaper reflected the views of its editor, the charismatic Father Norbert Wallez, who quickly became a father figure to Remi—so much so, that Remi acceded to a marriage with Wallez’s secretary at the priest’s urgings, despite some misgivings on Remi’s part. This lack of serious political introspection would have serious ramifications for Remi during and after the war. While Remi may not have been an active Nazi collaborator per se, he nevertheless continued to work and remain productive during the Nazi occupation of Belgium. 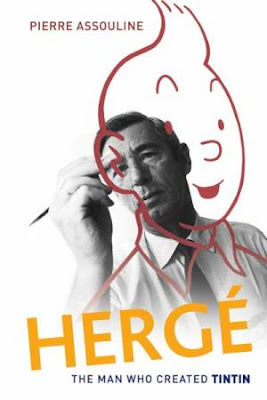 And although many artists were jailed or simply refused to work under Nazi occupation or sponsorship, Hergé worked for Le Soir, which was commonly known as a collaborationist newspaper, after his own paper was shut down. In fact, Hergé’s Tintin really came into its own during the war. It’s a tribute to his work that the stories produced during this time remain relatively timeless—no doubt the need to remain apolitical and ignore current events enabled Hergé to avoid the real world in his stories. So while he was not a war profiteer in the strictest sense of the term, Tintin allowed Hergé to live comfortably during occupation. In fact, he did quite well financially during the war due to the success of the series. 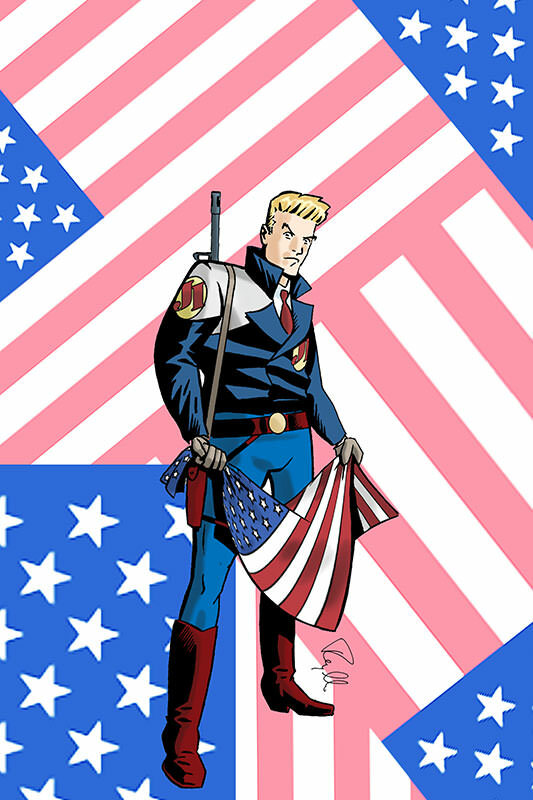 It’s clear from some of his letters during this period that Hergé saw the occupation as a way to increase market share for Tintin while other comics, particularly popular American series like Mickey Mouse and Flash Gordon, were shut out of wartime Europe. And during a time of severe wartime shortages, he and his publishers often beseeched the occupiers for the paper they needed to print more books, often with success. 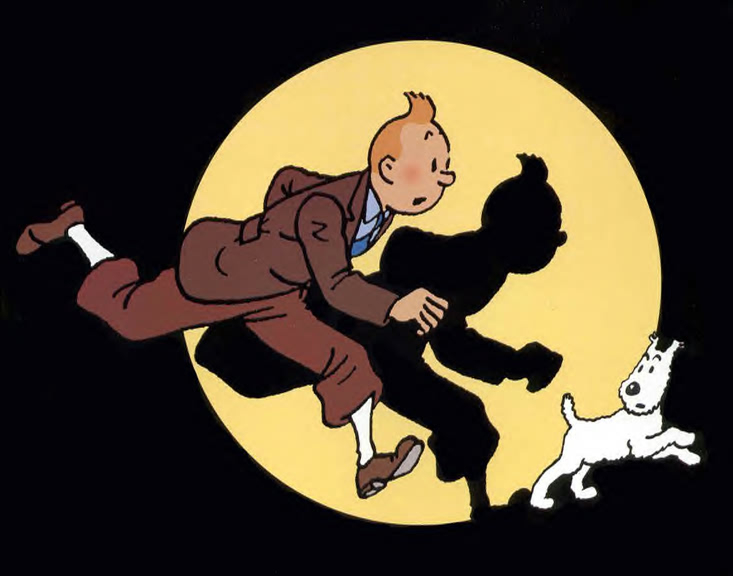 ABOVE: Still from upcoming motion-capture Tintin film. After the war, however, Remi’s activities and success had serious consequences. As an indication of the gravity of his situation, many of the people he worked with at Le Soir were jailed, forbidden to ever work again as journalists or artists, and a few were even executed. Although his file remained open for a few years, Remi’s case ultimately never went to trial like many of his colleagues. The reputation of Tintin, of course, played a role—aside from the ramifications of bringing the creator of a beloved cultural icon to trial, the desire by respected members of the resistance to do business with Hergé after the war (leading to the creation of the weekly Tintin Magazine), provided him with a degree of personal protection. Nevertheless, although the popularity and universality of the series largely kept it untainted by the controversy, the dark cloud of collaboration remained over Remi's head for many years, with many among the country’s political and intellectual elite—of whom Remi felt a part to a degree—remained divided over him. It did not help that Remi was largely unapologetic for his wartime activities and, perhaps owing to an emotional stuntedness that seemed part of his make up, he often seemed insensitive and oblivious to the serious hardships and sacrifices many of his countrymen experienced during the war, particularly those who chose resistance. Indeed, perhaps out of personal loyalty, he continued to discreetly provide work to colleagues who had been forbidden to work in the arts or journalism due to their wartime activities. Personally, Remi resented his treatment by the authorities for most of the remainder of his life, at one point even seriously considering relocating to Argentina. 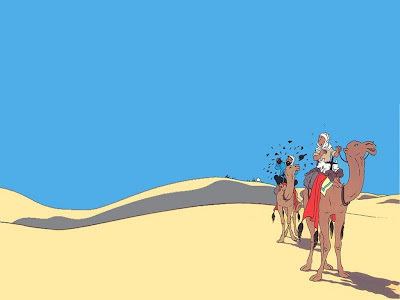 In his later years, Hergé underwent a spiritual re-awakening, embracing a Buddhist view of the world, and gradually became more comfortable with himself. By 1960, he was still married to his first wife in name only (partly out of respect to his wife and to his Catholic upbringing), and became involved with a much younger woman who worked at the studio. They would marry 17 years later, when his wife finally granted him a divorce. Hergé also needed to come to terms with the fact that his legacy would always be Tintin. While proud and very confident of his skills, he sometimes felt trapped by the character and tried to explore new avenues of expression, such as painting. But he finally came to recognize that Tintin was his life's calling and legacy. Through his career, Hergé produced 24 Tintin books—not an immense output by comic-book standards, but enough to make it an international cottage industry. The character has been brought to screen several times before—usually in animated format or in overseas productions—but the new production due later this year from producers/directors Steven Spielberg and Peter Jackson certainly raises the stakes and profile of the character. As I do every Valentine's Day, I'm pleased to make available at the Rob Hanes Adventures webcomics website, "The Real Julianne Love," an 8-page romantic adventure. The story originally appeared in Love in Tights #2. For more background about the story, read last year's blog. Otherwise, click on the image above, or here, to read the story.